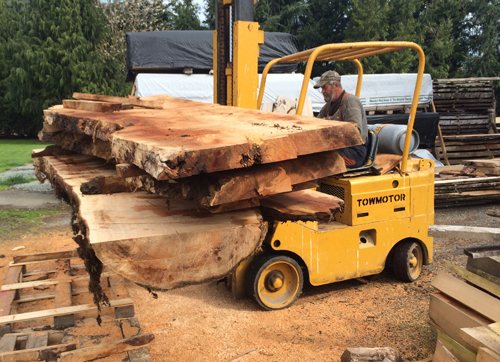 Andy is one of Trevor's wood suppliers. He collects individual trees in and around the Fraser Valley and he's helped Trevor visualize what the inside of a log will look like when the tree is opened up. Trevor and Andy spend a lot of time visiting Andy's various stashes of felled logs to find appropriately-sized pieces with the figure Trevor wants. Trevor marks out the billet and chainsaws it into squares. Back in his workshop Trevor bandsaws the blocks into circular disks. Once cut into disks it's important to keep the wood stored in plastic to prevent it from drying out too quickly which can result in cracks and splits and ruin the wood. Green wood is also much easier to work with than dried wood. 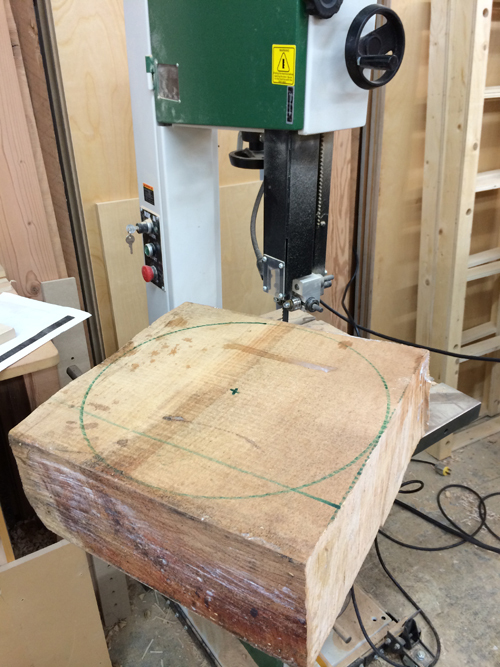 Rounds of green wood are turned into balance on the lathe and the outsides are roughly shaped. The blanks are then cored yielding 3 roughed out bowls each. In the spirit of sustainability, wood chips from the process are donated to a local heritage farm (southlands farms.com) that uses the chips for bedding material for their horses and other animals. 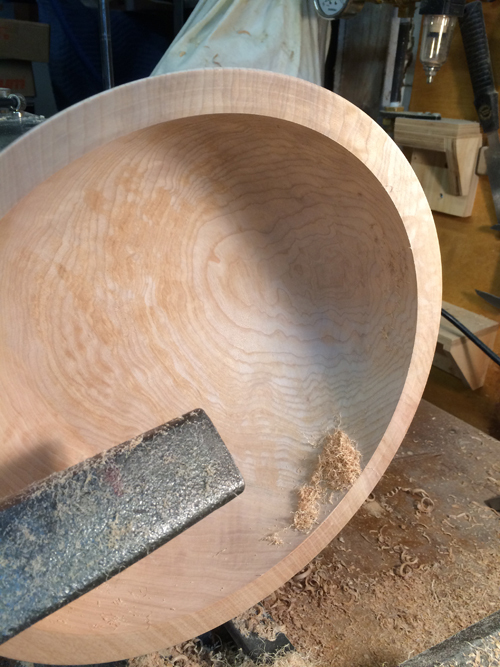 Once roughed out, the end grain of the bowls is sealed to help even out the drying and then they're set aside to dry. Drying can take 3 to 6 months in the shop depending on the species and the time of year. It's important not to dry blanks too quickly or they will crack. When dry, the roughed out blank is remounted on the lathe, brought back into round to even out any warping that happened during the drying process, and then finish turned and sanded on the lathe. Sanded bowls are signed with Trevor's stamp and finished with a simple, food-safe blend of walnut oil and beeswax which brings out the wood's natural grain, protects the wood and is easy to maintain. This bowl was given to Trevor's granddaughter with the hope that it will be passed down to her own children.